Many larger cities at one time had a terminal railroad. These short lines were usually owned by one or more major railways. These terminal railways were very busy enterprises with many short runs, short trains and much switching to be done. A terminal railway had to service its customers (who usually very close together given the urban area they served) and handled interchange between the major railroads that it connected to. One such railroad was the Detroit Terminal Railroad. 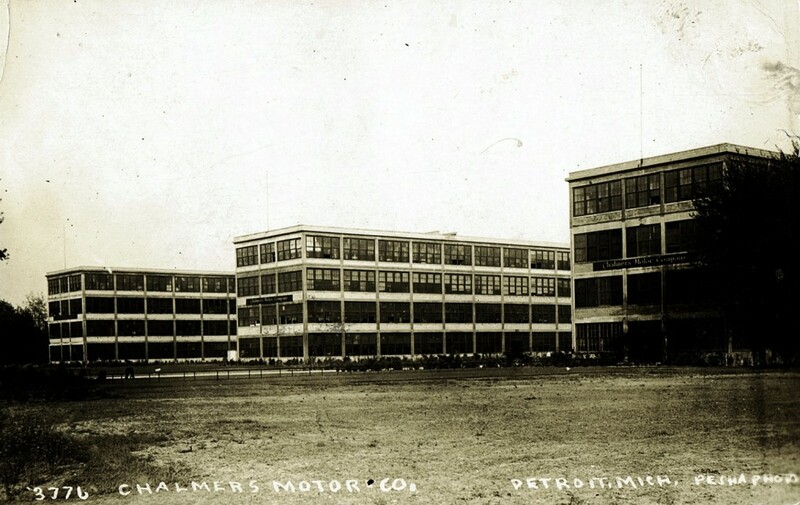 The Detroit terminal Railroad was started in 1905 by local Detroit business owners desiring railway access to their businesses. 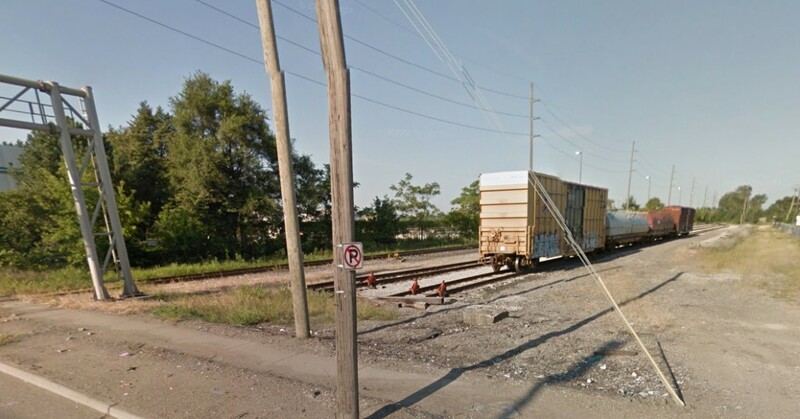 At that time many of the prime industrial locations in the City of Detroit were located on railroad lines that were already taken. This caused an impediment to the development of the other industries. Detroit Terminal Railroad’s trackage extended around the City of Detroit in what is called a “belt line,” reaching rural (for 1905) undeveloped locations in order to open up opportunities for new industrial development in the rapidly growing city. Soon after starting the Detroit Terminal Railroad, the railroad was purchased jointly by Michigan Central Railroad (25%), Grand Trunk Western Railroad (50%) and Lake Shore & Michigan Southern Railway (25%), all having railroad lines in Detroit. The New York central became 50% owner in 1912 after absorbing the Michigan Central Railroad and the Lake Shore & Michigan Southern Railway. By 1914 the final leg of the railway was completed on the west side of Detroit. 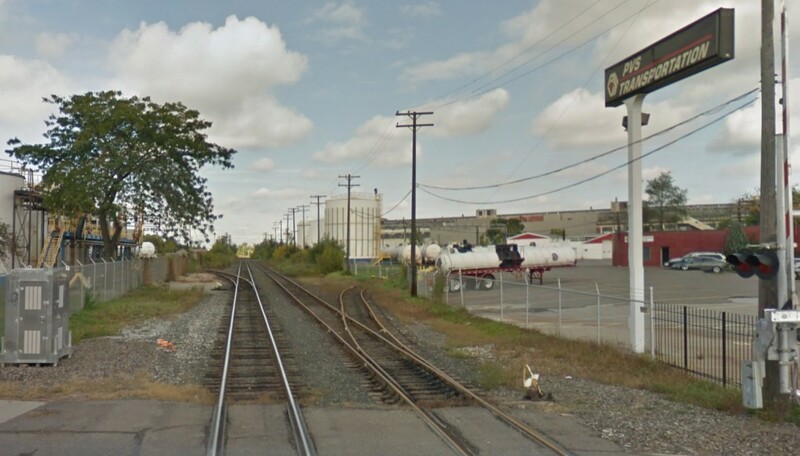 The Detroit Terminal Railroad at this time consisted of 18 miles of main line. It stretched from the Detroit River on the east side of town to the Michigan Central mainline located on the west side of town. Although owned by the NYC and the GT, the Detroit Terminal operated as an independent railroad. The Ford Highland Part Plant was the largest shipper on the railroad, shipping 176 outbound freight cars daily containing automobiles. The plant took in up to 100 freight cars daily bringing in supplies and materials for the plant. The railroad hits its peak traffic in the 1950’s and started to decline in the 1960’s. As with many railroads, changes in transportation methods and rising costs the railroad was soon in trouble. By the end of the 1960’s there was an estimated $2.5 million in deferred maintenance to tracks and equipment. 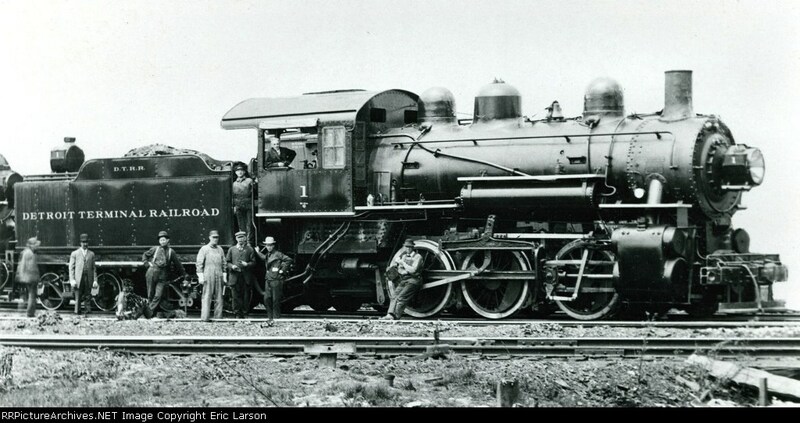 Blame was placed on poor management of the railroad by its two railroad owners (NYC and GT). CSX (ex Pere Marquette) trackage. 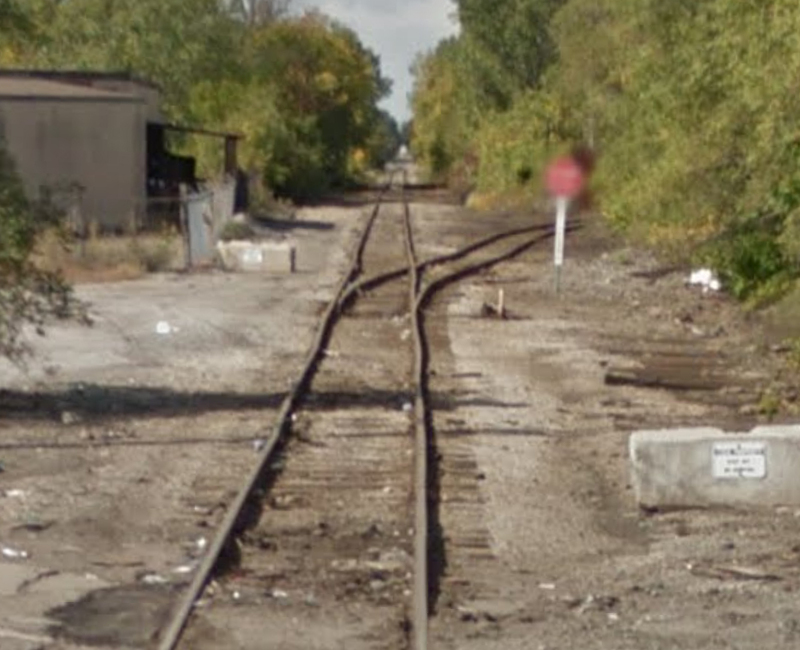 Detroit Terminal RR crossing was located just beyond turnout. 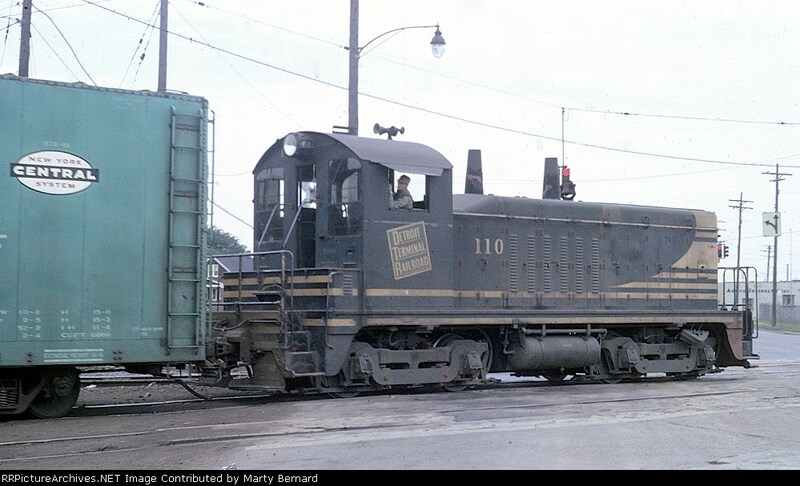 The Detroit Terminal Railroad managed to limp along until 1980 when the GT sold it’s interest in the line to Conrail (NYC being rolled into Penn Central and then Conrail). Conrail operated it for one year then combined Detroit Terminal Railroad operations with its own railroad operations. 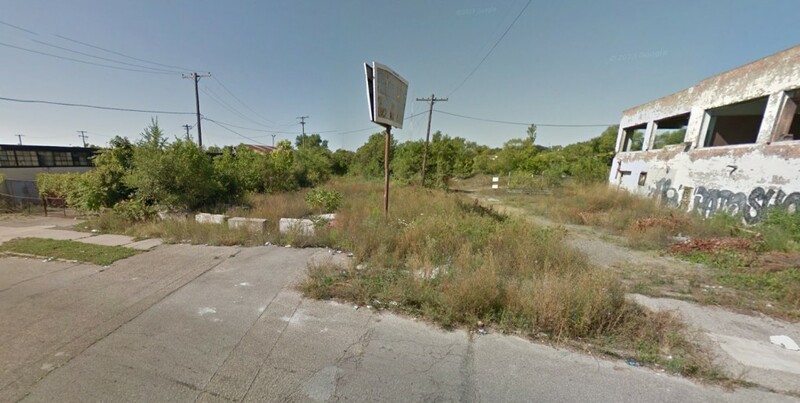 The primary yard and hub of operations was the main freight yard (Davison Yard) located in northern Detroit at Davison and Mound Roads. The Davison Yard was located about in the middle of the line’s route. All freight cars came and went through Davison Yard where they were classified for the various trains to take the freight cars to the on-line industries or the connecting railroads for interchange. Additional lesser freight yards included East Warren Yard, Mack Yard and Van Dyke Yard, all located east of Davison Yard. West Warren Yard and Lonyo Yard were located west of Davison Yard. Most of the track is gone today. Much of the former DT right of way is almost indistinguishable. 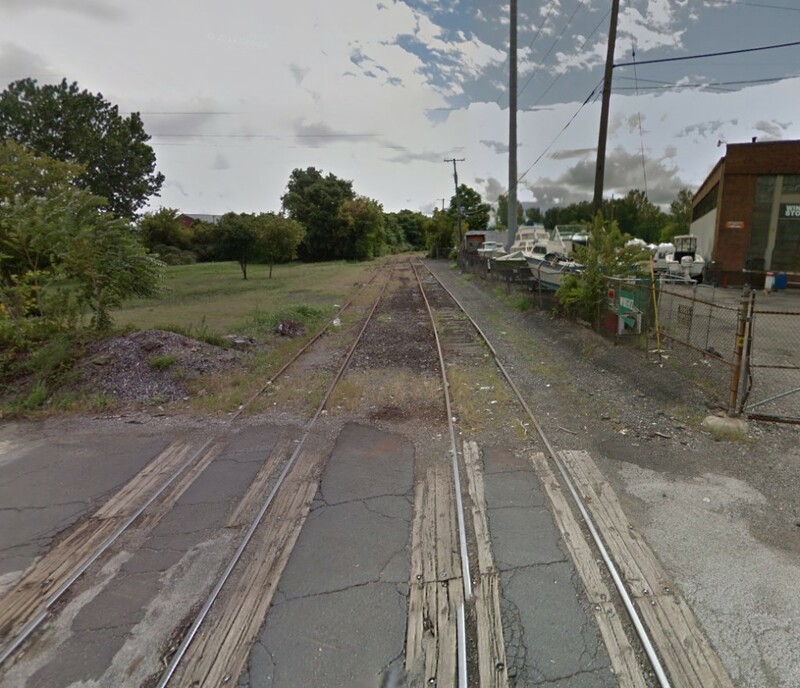 Interchanges with the New York Central Railroad was at their Livernois Yard until 1974 then afterwards at North Yard. Grand Trunk Western interchanged at their East Yard while Pere Marquette (later C&O then CSX) was at their Rougemere Yard, Detroit Toledo & Ironton (before owned by Grand Trunk Western) at their Ford Yard, Pennsylvania Railroad (before merger with New York Central) and Wabash (later N&W) at Lonyo Avenue by West Warren Yard (Oakman Spur). The line near Harper is still in use today. 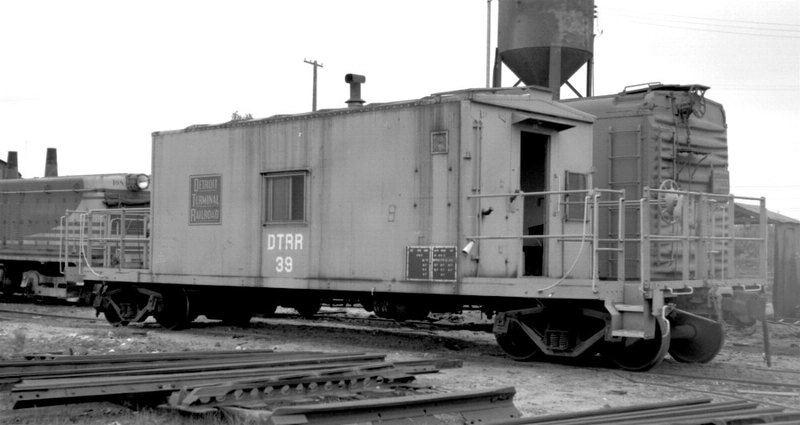 Locomotives for the Detroit Terminal Railroad were not unique. 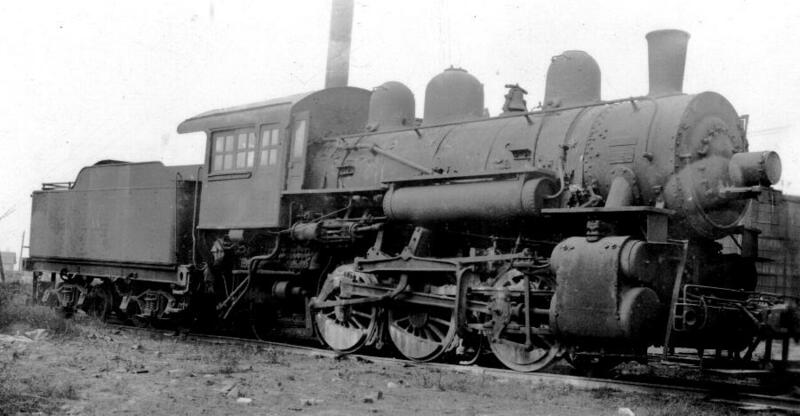 In the steam era, they typically used 0-6-0 and 0-8-0 switching locomotives. This reflected the short mileage and mostly switching type work done on the railroad. 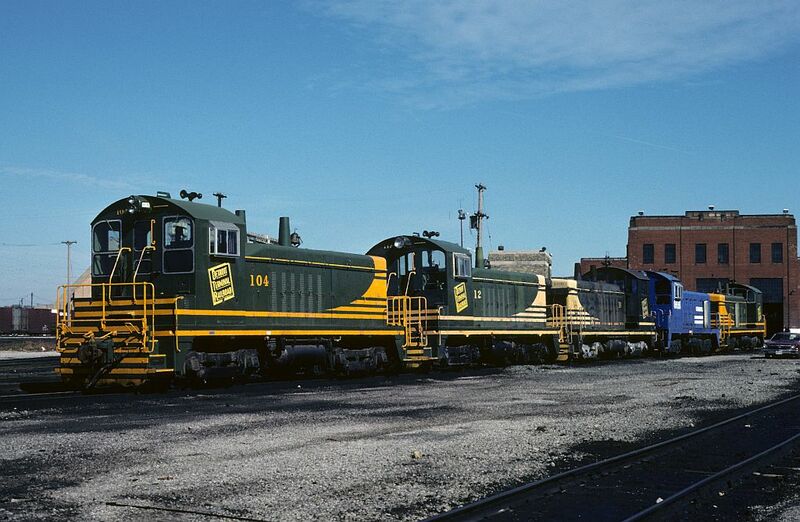 In 1945 the railroad began the dieselization process with the purchase of two VO-1000 locomotives. This was soon followed with the purchase of a Baldwin DS44-1000 in 1947. Then in 1947, the purchase of nine EMD NW2 switchers ended the use of steam. The railroad added two more NW2 in 1949 and two EMD SW7 in 1951. These locomotives would serve the railroad until its last days in 1981. Modeling possibilities for the Detroit Terminal Railroad abound. A prototype location for a small/mini layout with lots of switching moves could easily be found on many areas of the line. If mainline action is what you desire, the mainline was double tracked and was very heavily trafficked. The range of traffic in a large mid-western city like Detroit is only limited by your imagination. A large portion of the traffic would be supply traffic for the automotive industry with finished outbound cars to all destinations across the continent. The Mack Yard today is replaced by a auto loading facility for the Mack Avenue plant. For the railfan, an interchange layout could be conceived with motive power from nearly every major eastern railroad depicted. The same scene could be in the 1940’s with steam and then change to the 1950’s with first generation diesels and the N&W steam mixed in. Again switch to the 1970’s and early 80’s to host the later generation GP and SD locomotives. The background scene would not have to change much to support all the eras. The line is still used today near Wyoming. The small NW2 locomotive is very easy to come by in HO and N scales. If modeling the late 1940s to early fifties, a large number of shorter cars become available. This mix of small locomotives and shorter cars works well for the small layout. I am sure, I will be revisiting this railroad for a future project. Great information on a very interesting Terminal RR. Do you know if there is a website dedicated to it? I am not aware of a site just for the Detroit terminal. The Michigan Railroad history site has some information at http://www.michiganrailroads.com/RRHX/Railroads/DTRR/DetroitTerminalRR.htm. Also see the page at http://www.railroadmichigan.com/detroitterminal.html for more shots of the locomotives and http://detroitterminal.blogspot.com/2012/10/detroit-terminal-east-industrial-track.html for more on operation and locations. I think it would make for a great operation based model railroad in any size. Great info, love the abandoned shots. Oh, to be able to reverse time! This is great info for small to medium size model railroads. Thanks for sharing, Marshall. I’m finding similar stretches of railroad in many US cities. The B&O had a five mile branch along the Allegheny and Ohio Rivers in Pittsburgh that served the Heinz plant and a Standard Steel Car Company plant, among others. The Newburgh & South Shore in Cleveland, Ohio connected with six class one railroads, most of the steel mills, and a variety of industries. Ralph Heiss had a great presentation at the Valley Forge RPM meet on a Lehigh Valley industrial line in Allentown. I see remnants of a couple warehouse and industrial branches here in El Paso that were once operated by the Southern Pacific and the Texas & Pacific. Whether these were branch operations of larger roads, independent small railroads, or partnerships between a few class one lines, there are interesting modeling opportunities to seek out in cities all over the country. I just published a book on the Detroit Terminal Railroad. It is available on Amazon.com. Below is a link to it if you are interested. It appears you have several books relevant to subjects I am interested in. Your books on Detroit River Carferry and Tunnel Operations and Across the Detroit River by Carferry and Tunnel to Canada relate directly to my post on Free-mo Module Concepts – Rail-Marine.